From the very first day of school, we start preparing students for college and the well-paying careers they’ll love. Every high school student at Wonderful College Prep Academy is also a student of Bakersfield College. The Liberal Arts Pathway. College courses include Art Appreciation, Music, Theater, Social Psychology and Literature. Students graduate with 30 college credits, enough to put them a full year ahead in college. The Ag Prep Pathway. College courses include Intro to Ag Business, Intro to Plant and Soil Science, Ag Sales and Marketing, Ag Leadership, Agriculture, Environment and Society. Students graduate with an associate degree, and they can enter a four-year university with 1–2 years under their belt. We believe that the best way to encourage and empower our college-bound students is to expose them to a world outside their comfort zone. That’s why we offer over 25 university visits up and down the California coast, from San Diego to San Francisco. 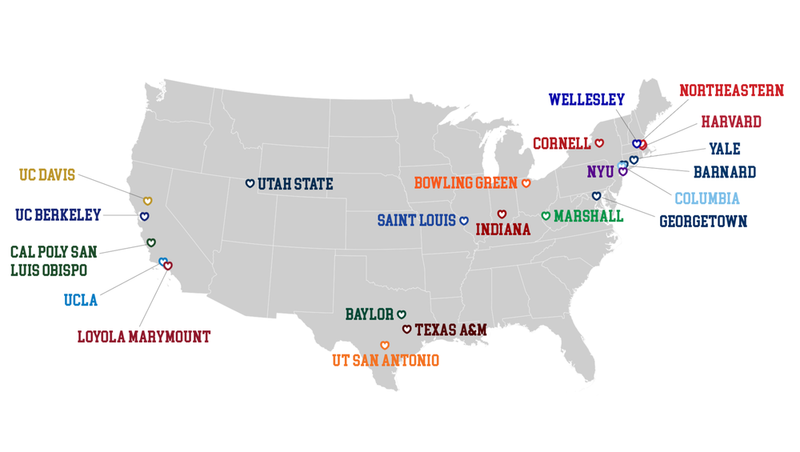 Some also venture across the country to visit the nation’s most elite Ivy League universities. In addition to the college visits, students take in other experiences. Liberal Arts students visit theater productions, concerts, debates and community organizing events. Within our Ag Prep program, real world experiences include ag industry conventions, job shadowing opportunities, paid internships and ag career expos. A few of our students have had summer intern programs as far away as the East Coast, France and Germany. All students are eligible for a four-year renewable college scholarship of up to $24,000, if they earn a cumulative high school GPA of 3.0 or above and enroll full-time at a four-year university. Even after graduation, we continue to provide tutors free of charge, success specialists who personally check in on students, and college transition workshops. 88% of the class of 2018 will attend a four-year university this fall. One-third of the 2018 graduating class earned an Associate of Science degree, while in high school. College retention for our students at four-year universities is 70%. Nationally, only 9% of low-income first-generation college students earn a bachelor's degree. Our grads are on track to beat the college completion rate for low-income, first-generation college students by SEVEN TIMES.